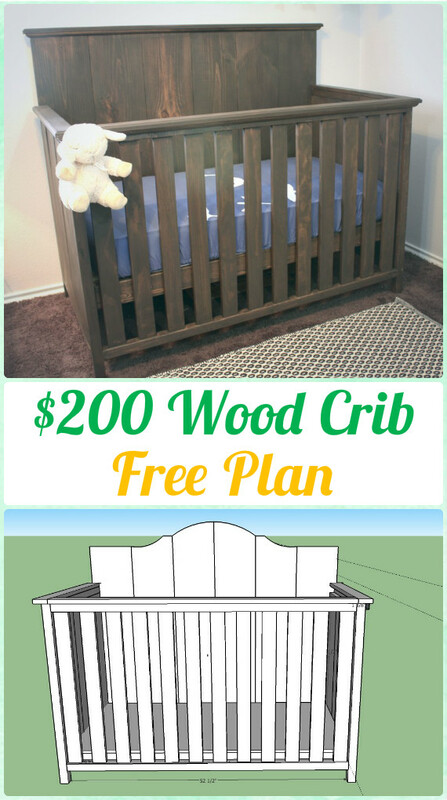 A collection of DIY Baby Crib Projects [Free Plans]. Baby cribs is one of the most important baby furniture for parents to be. It may cost hundreds to thousands dollars, and use for 3 – 5 years the most. Today our Furniture Channel is going to share this list of well designed, sturdy wood crib DIY plans that you can follow and make, they are unique, solid and cost friendly, and most of them can be done in a weekend, scroll down and pick the one that fits your budget and baby room decoration. Paint with safety paints and add lullabies overhead for the special baby birth moment. There is no instruction for this crib, but it is fairly easy by cutting off the top part, smooth the edge and add bedding. 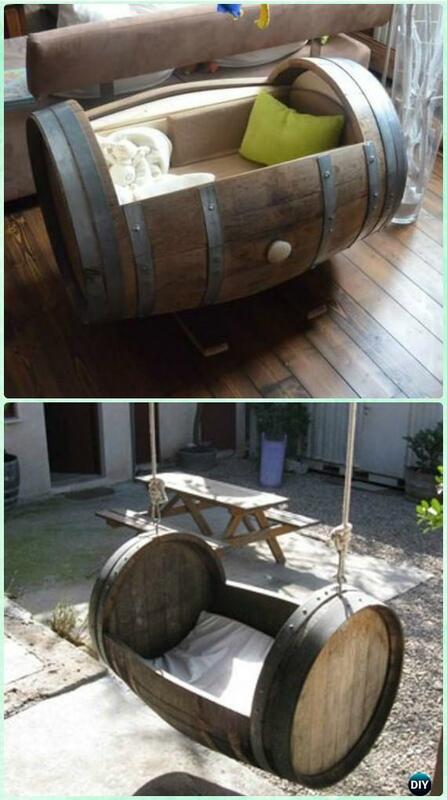 Hanging it or make a stand (fixed or rocking) to custom make your own.